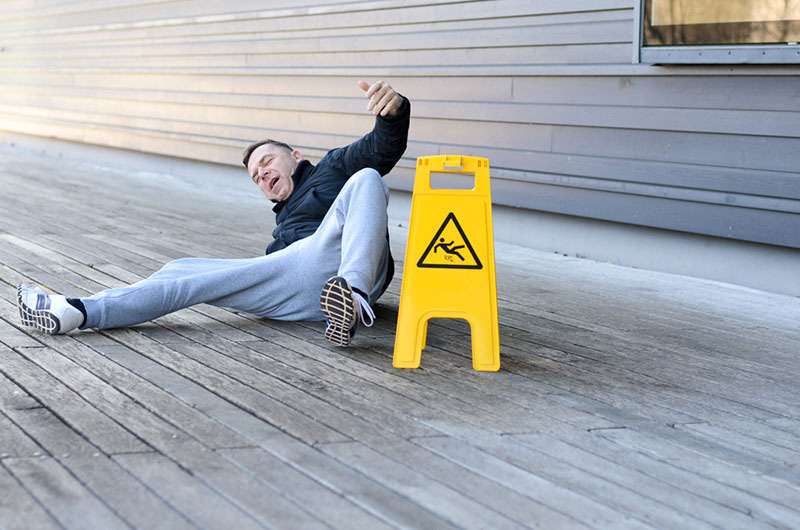 Slip and fall accidents may have a name that sounds a little bit silly, but the results from them can be anything but. Slipping and falling can lead to injuries, catastrophic injuries, or even death. There’s nothing funny about a terrible slip and fall. When these occur, they’re often not the fault of the person who fell. The party liable is whoever owned where the accident took place. Of course, the first thing to do in the immediate aftermath of any accident is to call for medical help. The next step is to seek help from an accident lawyer in glendale to know the appropriate steps to pursue a complaint. When someone owns property or a location (like a store, building, parking garage or the like) it’s on them to maintain it. They have to make sure that it meets certain standards. These standards are set by federal, local and state laws in most cases. When these locations don’t meet those standards, that can be a problem. This is particularly true when slip and fall accidents occur on account of these standards not being met. That’s why the injured party should seek legal representation. Anything can causes slip and fall accidents, but some reasons come up more often than most. If a building or area has inadequate lighting, that can make movement treacherous and lead to accidents. The same goes for any poorly maintained floors. Floors that have been allowed to become uneven, overly wet, with frayed carpets can absolutely cause a devastating accident. The effect o this can be multiplied if there’s a staircase nearby. To prove that slip and fall accidents you’ve been injured in aren’t your fault, there are things you will have to prove. Namely, you’ll need to be able to display why the negligence of someone else lead to your fall. For example, if you fell into a hole and broke your leg in a parking garage, you need to show that it was their fault for letting that hole to grow without them going back to fill it. Beyond that, you’ll also have to show how it negatively affected your life going forward. It can be hard to work after a bad accident. In fact, in some cases, it can be impossible to get back to the same level of competency you had at your job after an accident, if you can even go back to work at all. In those cases, you can show that you lost wages due to the accident. You’re entitled to collect that money as the accident wasn’t your fault. The same goes for any medical bills that may accrue from the accident. These are all things that an attorney can help with, so that you can focus on your recovery. The LA Injury Group can help you get back on your feet, legally speaking, after an accident like this. They’ve taken on insurance companies before, and have won great awards for their clients. Let an accident lawyer in glendale take your case, so that you can concentrate on what’s important. Reach them at (888) 500-1006 or at their site after slip and fall accidents.